105 million Facebook fans and 35 million Twitter followers give insight into who is consuming where. 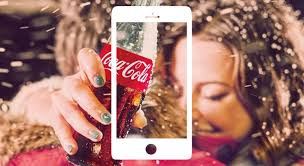 (Coke) uses AI-driven image recognition to spot its products, or competitors, and uses algorithms to advertise. (Such) ads have a four times greater chance of being clicked on than other advertising. The algorithm finds the best variables to match products to local consumer tastes. “Social media, mobile applications, cloud computing and e-commerce combined with big data gives intelligence. AI is the foundation for (how) we create intelligent experiences." Coca Cola is known to have ploughed extensive research and development resources into artificial intelligence (AI) to ensure it is squeezing every drop of insight it can from the data it collects. Don't want to show my age, but didn't we used to call all this data stuff "research"?